Email marketing is one of the most effective methods you can use to reach potential customers. It’s not only cheap, but it also allows you to reach large audiences with a single action. Well, sometimes even the best campaigns reach mediocre results because the message simply doesn’t stick. You need to make sure your email marketing campaigns aren’t flops and the message sticks like glue. In this week’s Tips Under Ten Minutes post, see how you can make sure that your email marketing campaigns are huge hits using custom LiveChat greetings and lessons taken from bird tagging. Let’s say you’ve just sent out a newsletter campaign related to a new line of sport shoes that just arrived and are now available in your online shop. Jocks of all sorts are now streaming to your website to check out the new merchandise. You have their attention now and you should use that to your advantage. By inviting them to chat, you can make sure they get the information they need to make a purchase. How to tell them apart from your normal customers who came to your website from other sources? You need to tag the links they use to reach your website. 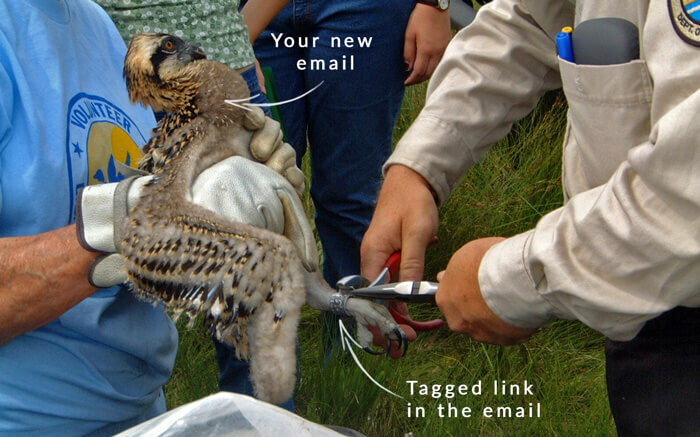 Tagging chat links is just like tagging birds. First, the birds are tagged, then released. When they return, you can recognize the birds that you’ve tagged. 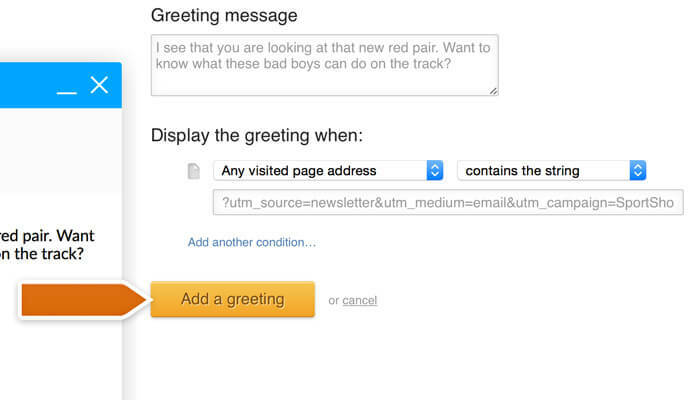 In the same way, LiveChat can automatically spot customers who came to your website via a tagged link. Email marketing software like Mailchimp, Campaign Monitor or Active Campaign can tag the links automatically for you. 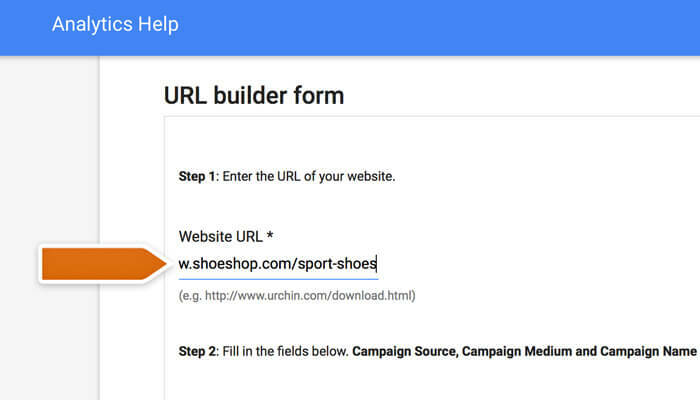 You can also use Google URL builder, which is free and will get the job done. 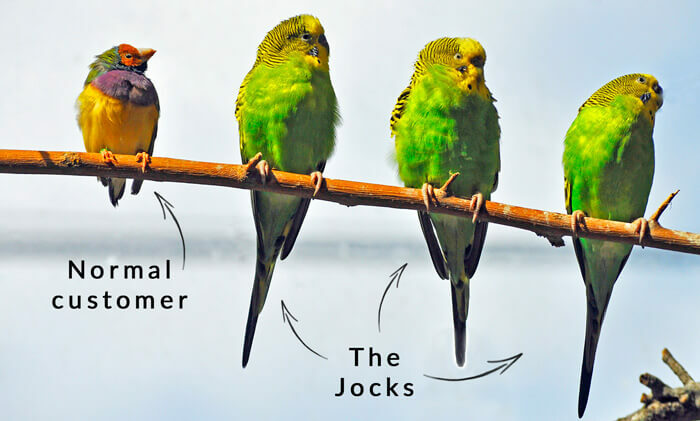 Once you can tell your customers apart, LiveChat can help you offer different messages for all the customers who came to your website from your newsletter (The Jocks). Sounds good? Let’s get right to it! When you finish preparing your email marketing campaign, you need to add tagged links to it. Let’s see how to crate a custom link using Google URL builder. First, you need to provide your website’s URL address. Finally, click on the Generate URL button to get the link. Create a link like this for all pages mentioned in the newsletter. Once that’s done, you can create greetings for them. Log in to LiveChat and go to the Greetings section. Click on the Set up more greetings linkto add a new greeting. You will get a list of conditions that will automatically trigger your greeting when a visitor does something on your website. In our case, this will be visiting specific pages. 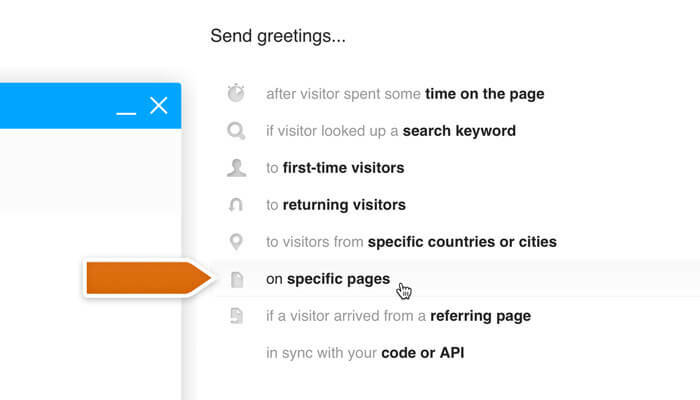 Choose to display the greeting on specific pages to proceed. 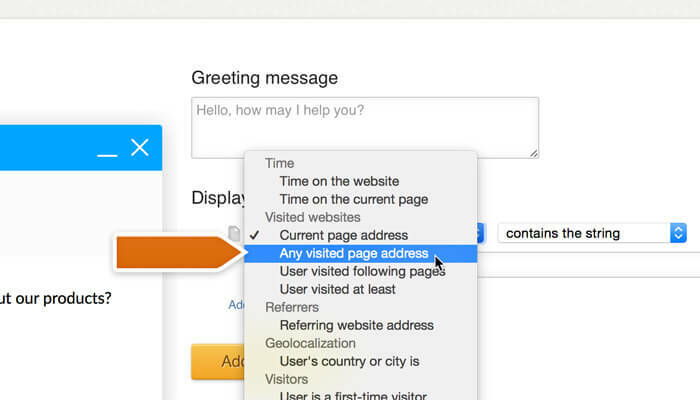 Choose Any visited page address from the first drop-down menu and leave contains the string from the second as is. 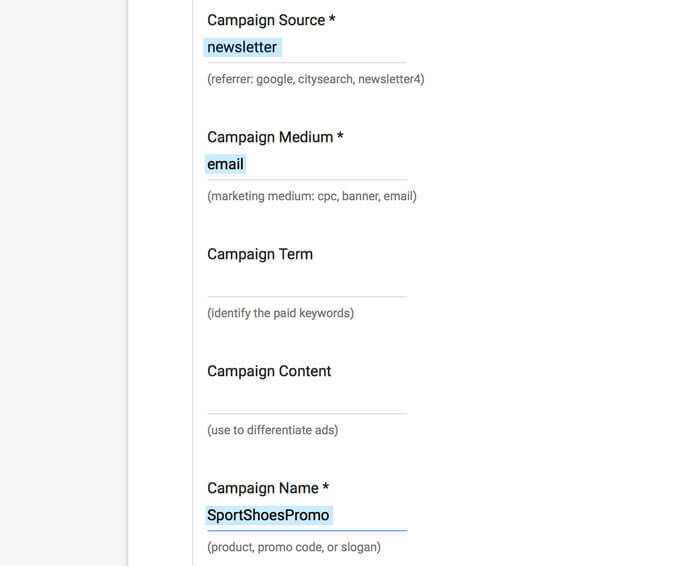 Now, you need copy and paste the parameters from the custom link you’ve placed in your newsletter campaign. The parameters will start with with a ?. You need to copy and paste everything after (and including) the ?. Finally, you need to customize the message. This is the hardest part as it will decide whether you convince someone to start a chat or not. In the message, you want to make a direct connection to the newsletter. If it was related to a cool new pair of red running sneakers, you should definitely mention it in the message. When you have the perfect message, click on the Add a greeting button. Now every time someone comes to your website looking for those cool running shoes, you will be able to engage that customer and tell him or her all about that cool pair of red rockets. If you are using the popup chat window, you can can even add a custom graphic that will show the shoes with your greeting message! Using tagged links and custom greetings for them is not the only thing you can do to boost your email marketing campaigns. 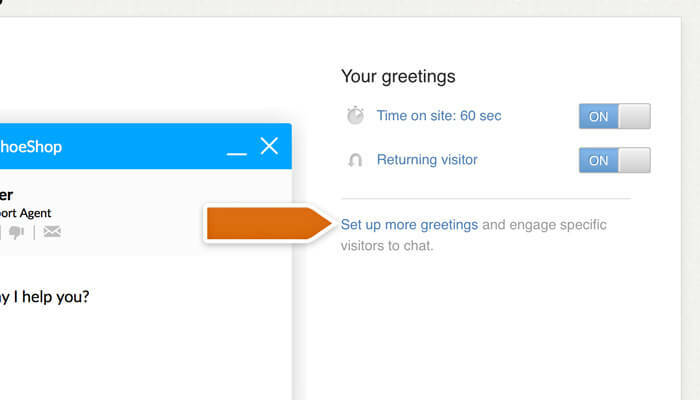 By setting up goals, you can measure how much business greetings and chats bring. This gives you a view on your entire sales funnel: from the number of sent emails, through greetings and chats and down to the sales themselves. Greetings can also help you if you are dealing with a bad case of cart abandonment. You can use them to spot customers who are about to leave checkout and save the sale by initiating a chat. For all your other greetings-related needs, check out Chat Greetings Effectiveness Report. The report will provide you with good practices and tell you when different kinds of greetings are most effective. Photos courtesy of U.S. Fish and Wildlife Service Northeast Region, Don Gunn and Heather Paul.